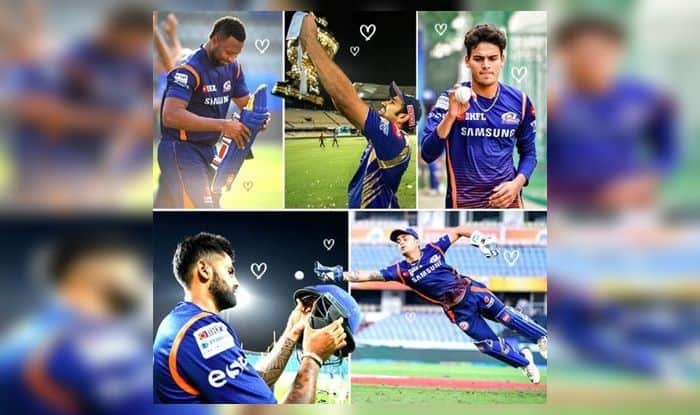 Valentine's Day 2019: Mumbai Indians Valentine's Day post featuring stars Rohit Sharma, Kieron Pollard, Ishan Kishan, and Suryakumar Yadav is a real treat for fans. The Mumbai Indians is one of the most successful franchises at the Indian Premier League. They have clinched the title three times, the franchise has also lifted the Champions League T20 title twice. Meanwhile, Mumbai Indians made headlines at the player auctions 2019, where they roped in veterans Lasith Malinga and Yuvraj Singh for Rs 2 and 1 crore respectively. They bought a total of six players which also includes Barinder Sran, Anmolpreet Singh, Pankaj Jaiswal and Rasikh Salam. They look a formidable unit and would be hoping they can add to their collection of silverware in the upcoming season.